With over 170 students competing across 12 clubs, the end of year Regional STOMP was set to once again be another exciting day of friendly competition. With all funds raised added to the regional sponsorship pot for Argentina 2018, it was encouraging to see so many students attending and ensuring the day was a real success. Kick-starting the competition were our 4-7-year old’s competing in the Generation-X divisions. 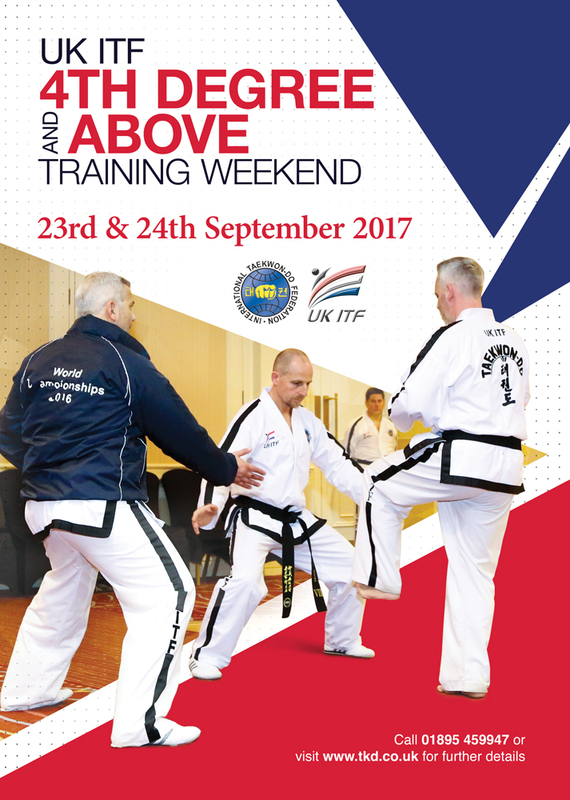 Originally designed to introduce students into the world of Taekwon-Do, our regional Generation-X have far surpassed all expectations, entering the event with the confidence and professionalism of our most experienced competitors. After watching an exciting display of pattern work it was time to pad up and prepare for sparring. With busy divisions across all grades, there was certainly no easy route to the top spot on the podium. The morning session ended with our junior 13+ categories. With black belts called to their rings, this was a great opportunity for our Generation-X to see our champions of tomorrow battle it out for the gold. Whether win, lose or draw each decision was taken graciously, once again showing how great a role model our juniors are becoming to the Generation-X students. After a short break it was the turn of our cadets to step up and compete. With three rings running throughout the day, the spectators were treated to a nail-biting display of competitive Taekwon-Do, once again highlighting the vast amount of talent progressing through the ranks of Region 1. As always, each competitor performed to a high standard and it was a true pleasure to watch. As we progressed from white belts through the grades it was encouraging to see their competition experience shining through, shedding light on the importance and positive impact these Regional STOMPS have on the development of our competitors. To add to the excitement, we also introduced a special technique activity to the day where our cadets and generation-X were encouraged to turn their hand to a bit of breaking. After the event each student was given their broken board as a STOMP memento and symbol of their hard work, courage and perseverance. At this point we would like to thank all the regional competitors that participated at the end of year STOMP, our friends from Fishponds TKD, Poole TKD, Stoke Gifford TKD and Welwyn TKD, all the umpires/admin that worked tirelessly throughout the day and of course the parents and friends that cheered along from ringside. We invite and look forward to seeing you all at the next Region 1 STOMP Championships on the 17th March 2018. Keep training hard!